Being injured due to a criminal attack in Hallandale Beach brings you the need to reach out to an experienced lawyer to help you navigate through the personal injury procedures. If you or a loved one happen to be the one who is injured, call (305) 285-1115 to talk to the Hallandale Beach crime victim compensation lawyers and wrongful death attorneys at the Wolfson Law Firm. Our consultations are free, and we never charge you a fee unless we make a recovery for you first. Hallandale Beach is in the southeast corner of Broward County. It has a diverse population including a significant number of retirees. 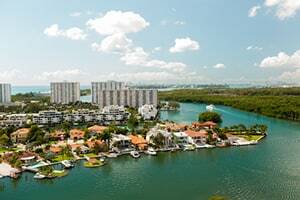 Hallandale Beach is widely popular with tourists because of the Gulfstream Park and Casino and the Mardi Gras Casino. It is bordered by Hollywood, Golden Beach, Pembroke Park and Miramar. These are not all the crimes that could result in you being injured in Hallandale Beach, just the most common ones that our Miami injury attorneys have witnessed. Don’t hesitate to contact us if you have been injured in another type of criminal act. You may be eligible for compensation depending on the facts of you case. Being personally injured as a crime victim in Hallandale Beach means that you may be able to claim damages. After getting medical help, the next step is to call a Broward crime victim injury lawyer to help you figure out who is liable for your injuries, because it could be decisive about which road to recovery you should take. In general, there are three of methods to consider. The first one is claiming damages recovery from the criminal offender. If he is proven guilty and convicted by court, he will likely be legally responsible for paying you damages. It will only be an easy recovery if the criminal has assets – and most do not. The downside of this option is that in some cases, crime victims must wait for a long time until the offender is convicted, and sometimes, he remains out of reach of law enforcement authorities. If this is the case with you, then consider the next two options. One of them allows you to claim damages recovery from another person, company or corporation. If the crime has occurred on the premises where you’ve been invited, such as malls, retail stores, nightclubs, gas stations, banks, apartments or condos, the party who controls these premises might be liable. They owe invitees a duty of care, meaning they must reasonably take all the necessary measures to prevent foreseeable crimes therein. When they breach this duty due to negligence, and it leads to crimes and personal injuries, these persons may be liable to pay for all the injury-related expenses and damages. The third option is looking to the Florida Bureau of Victim Compensation. They won’t ask if anyone was convicted or not. They just want you to prove that your injuries have been sustained as a consequence of a criminal attack and they will compensate you for your economic injury-related expenses. While helpful, this avenue will not lead to full and fair compensation. If you are a family member of murder victim, you may be able to claim damages as well. Laws allows for some specific forms of compensation for certain murder survivors as well. Losing a person close to you always mean going through mourning and emotional pain, and sometimes, loss of financial support. That’s why murder survivors may be able claim recovery for these and other wrongful-death-related expenses depending on the facts of your loss. The Hallandale Beach crime victim attorneys at the Wolfson Law Firm have served the good folks from Florida for personal injury and wrongful death claims since 1963. Call (305) 285-1115 for your free consultation. We don’t ask for any fees until we recover for you. No matter what – don’t be a silent victim. Know your rights and get the justice that you and your family deserve.